Look awesome, its a green Indian Parrot on the tree near to its nest, look at the graph-er while make this shot by turning its neck. 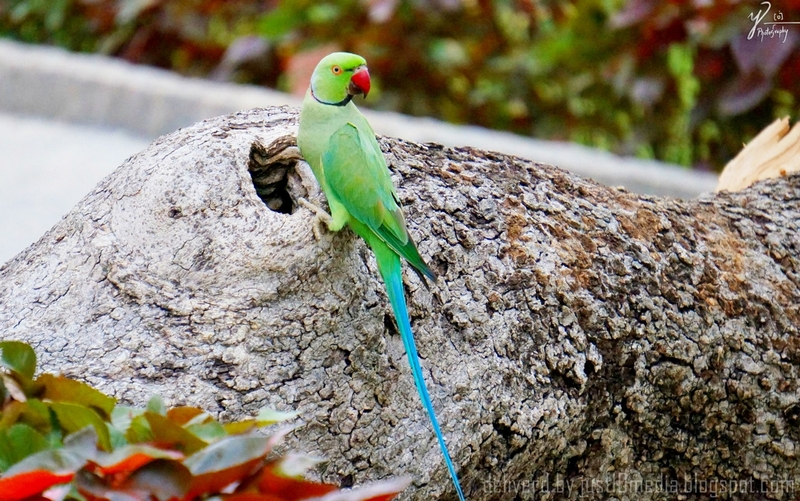 Parrot are the bird which can repeat the human language by hearing those. It will make pronunciation as such as human being speak.